A MiG-21 fighter jet of the Indian Air Force (IAF) crashed in the eastern Indian state of Assam, local media reported. The pilot lost control and the aircraft fell on a paddy field some 25 km from the city of Tezpur on Saturday. The fate of the pilot is unknown. India's fighter fleet consists mainly of obsolete Soviet MiG-21 models. The Defense Ministry plans to phase them out by 2017. 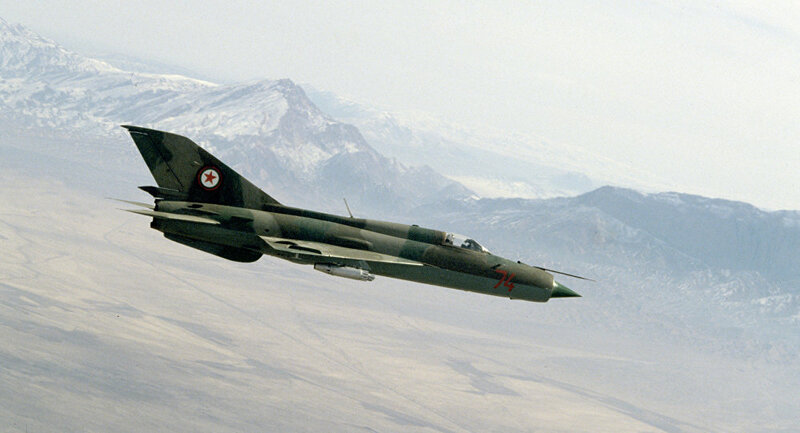 Accidents involving Soviet-designed MiG-21 fighter jets, known as the Bahadhur (Brave) in the IAF, which were produced in India under license and have been in operation for several decades, are frequent in the country.